My name is Helmut Hess and I’m from Erfurt, located in Thuringia, the green heart of Germany. Photography is my hobby and many of my photos have been selected by international agencies. Most photo opportunities I find when walking in cities and landscapes. I like to watch people and try to identify interesting situations in time and capture the photo. When I walk in my hometown, I have usually just the small Ricoh GR in hand, watching the people around me. In photo tours and vacations I take the Kelly Moore bag and pack two or three cameras for various uses. Inside Helmut Hess’ Camera Bag posted on Street Hunters on June 27, 2016 7:46 pm . 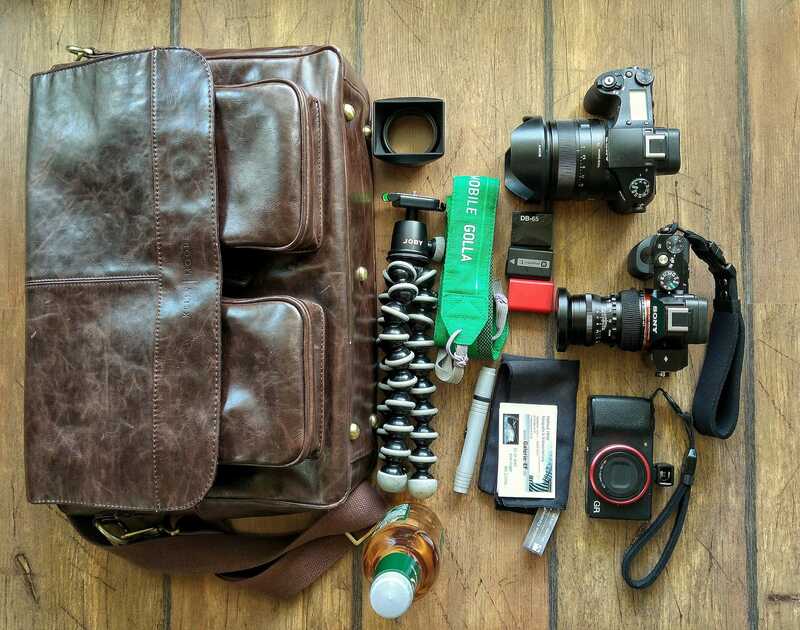 Camera Bag, Helmut Hess, What's in your Camera Bag?